ComicBook.com reports Amazon has announced a one-day-only Gold Box sale on Hasbro toys just in time for Easter. Popular toys featured in the sale include Marvel Legends figures, Nerf toys, and many more. Monopoly fans can get Monopoly Cheater's Edition for 50% regular price. Other classics can be found in the day-long sale, including Connect 4 for only $8.39, Mr. Potato Head for $4.82, and a big case of Play-Doh for $16.53. According to Business Insider, on Thursday Egnyte, a cloud storage rival to Box and Dropbox, announced a multi-million dollar, multi-year deal with Microsoft. Under the terms of the deal, Egnyte will move many of its services to the Azure cloud, and the two will form joint strategies. Before, Egnyte was centered on Google Cloud, but it switched its focus to Microsoft Azure two years ago, citing Microsoft's own focus on enterprise customers. DigitalTrends.com reports Presidents’ Day sales have good deals on furniture, but also on the Apple Watch! The Series 3 version has the same price cut as the Amazon sale last week... ...meaning a $50 discount is possible! The Series 3 offers activity tracking, GPS, water-resistance, and many apps! So if you're itching to buy it for less $279, the Apple Watch Series 3 is now available on Amazon for $229. 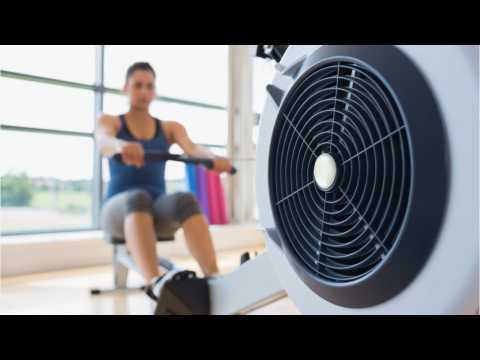 Rowing is a healthy activity that offers one of the best home workouts you can get. If you have the space for the equipment, now may be the time to add a rowing machine to your home gym collection. According to Kinja Deals, deep discounts are available for one day only on The Stamina ATS Air Rower Rowing Machine with LCD Monitor. The machine monitors and displays your speed, distance, time, and calories burned. The model comes with a three-year frame warranty and 90-day parts warranty. According to Digital Trends, Fitbit is considered one of the best fitness trackers. To help fitness enthusiasts keep up with their New Year's resolution to get fit, Amazon is currently offering deals on Fitbits. Fitbits can track steps taken, calories burned, number of active minutes, as well as quality of sleep. They can even automatically detect if you are working out. Some of the fitbits for sale on Amazon include the Fitbit Flex 2, the Fitbit Charge 2, and the Fitbit Alta.